As you know, as per the Government of India, Aadhaar link to the Mobile Number is mandatory, that means if you have Mobile Number of any operator in India you need to re-verify your SIM using Your Aadhaar Number. Here is the information and tutorial about, how to link Aadhaar to your Aircel Mobile Number? The below is the complete process to link Aadhaar card to your Mobile Number. How to Link Aadhaar Card to Aircel Mobile Number? 1- Presently to link Aadhaar to Aircel Mobile No. 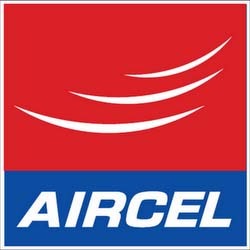 Please visit to the nearest Aircel Store or Outlet. 2- Provide your Aadhaar No. and Mobile No. 3- Then you will receive a OTP on your Mobile, give the OTP to the Aircel Executive for re-verification of EKYC application. 4- Then the subscriber has to give the Biometric verification. 5- That's all and you will receive a confirmation SMS shortly. 1- Do not link your Aadhaar if the Mobile Number not belongs to you. 2- Use your Aadhaar card to link your Mobile Number. Currently the Government Of India has not issued any instructions for outstation customers for more information on Aadhaar link to Aircel Mobile Number for Out station customers please visit the official website of Aircel www.aircel.com. I want to try my Aircel No 8013489730 to attach my aadhar no. Please go to nearest Aircel Outlet.